Home visit Will writing meetings, no travelling for clients. Fixed fees pre-quoted in writing. Complex family situations easily resolved. 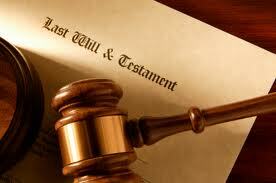 Personal supervision of your Will attestation. Institute of Professional Will Writers qualified click for link to website. Advice on Local Authority care home fees mitigation. Lasting Power of Attorney arrangement click for link to page. Probate arrangement click for link to page. FREE guidance on taxation, investment, pensions, business and money matters. Inheritance Tax planning click for link to page. 'Making a Will is particularly important if you have children under 18, or have step-children, or wish yourself and your spouse to inherit most if not all of each other's estates, or to protect your own children's inheritance in the event of re-marriage or going into a care home' . YOUR WILL CHECKLIST: WHICH TOPICS APPLY TO YOUR CIRCUMSTANCES ? You are in an un-married partnership or have recently married, re-married, divorced or ended a relationship where a property was shared. You have no provision in your Will to protect your children's inheritance should your spouse re-marry. Marriage or re-marriage invalidates a Will, thus channelling legacies away from the wishes of the Testator (Will­-maker). However, a properly revised Will can put the terms of the Will back on track in the light of the Testator's revised wishes in relation to the new family circumstances. Divorce does not invalidate a Will, although divorced spouses named in a Will are treated as though having died on the date of divorce. The rest of the terms of the Will may be valid, but again out of date with the new family circumstances. You have not provided for the welfare of minors (under 18) in the event of one or both parents’ premature death. You are unsure whether a Local Authority can force you or an elderly parent to sell your house to fund care home fees. You own property abroad, not covered by a Will in that country. You are concerned (or unaware) that capital taxes (40% Inheritance Tax) arising on your death could erode the family wealth before it passes to your beneficiaries. You have business interests, with possibly no formal written arrangements for continuity and stewardship of your business after death. Where property is owned jointly under a joint tenancy, on the death of one of the joint tenants, the deceased's share of the joint property passes automatically to the surviving joint tenant, and is not subject to the Intestacy Rules. The property cannot be passed to anyone else under a will or intestacy, but this restriction could be overcome by changing the property ownership to a tenants-in-common arrangement. The Intestacy Rules are subject to a 28 day survivorship rule under section 46 of the Administration of Estates Act 1925, so if the spouse dies within this time, the intestacy rules state that the intestate estate will be dealt with as if there had been no spouse. Under law, if a couple die in an accident, and it is not known who died first, the older of the two will be deemed to have died first under section 184 of the Law of Property Act 1925. Should there be no surviving bloodline, ie children, grandchildren etc, the couple's two estates would go to the beneficiaries of the younger survivor only. If there is a surviving spouse and no children, ALL assets pass to surviving spouse. £250,000 free of Inheritance Tax. The residuary estate is split 50/50 to surviving spouse AND CHILDREN. The children take the whole of the estate in equal shares. • £450,000 free of Inheritance Tax. • One half of the remainder of the estate. The parents take the other half of the remainder of the estate. The brothers/sisters take the other half of the remainder of the estate. ØHalf brother or sisters or their children. ØUncles or aunts or their children. ØHalf uncles and aunts or their children. If you have no surviving parents, siblings, grandparents, uncles or aunts, then under the Intestacy Rules, the whole estate goes to the Crown or the Duchy of Lancaster or the Duke of Cornwall. Ensure that after your death your children will still benefit from your share of the family home should your spouse re-marry. Ensure your children under 18 have appointed Legal Guardians to bring them up should they be orphaned. There are no automatic parental rights for grandparents or godparents, nor for any close family or close friends with whom you may have informally agreed to foster your children. Specify named estranged family members whom you may wish to exclude from your estate. Help protect the proceeds of your home being spent on Local Authority care home fees. Help protect the value and continuance of your business after your death. Ensure, should you own property overseas, that you have a Will drawn up in that particular country. Mitigate Inheritance Tax on your estate, currently 40%. Ensure your signed Will is protected against loss by being professionally and safely stored. You have divorced or been widowed. You have since re-married, which invalidates your Will, unless it states that it was arranged in contemplation of marriage. You have no catastrophe clause stating your reserve beneficiaries if all of your close family beneficiaries died before you. Your existing named Executors, Trustees, Beneficiaries or Legal Guardians have died, or are no longer appropriate to your current wishes and circumstances. You have children with special care needs, who might lose State benefits on inheriting your estate. 'I offer a service in the client's own home that is friendly and informal, conducted with sensitivity and patience, with clear explanations of the beneficial arrangements available. I very much look forward to being of service to you' .